The last few years have witnessed the emergence of 3D Printing Art as a form of creative expression. Artists utilize their imagination to take their thinking further ahead and help us look at things from a different perspective. In a similar hue, 3D printing has already disrupted limitations across various aspects of design and manufacturing. The amalgamation and creation of 3D printing art was only the natural next step. 3D printing helps artists transform ideas into tangible works of art. Artists from creative and entertainment domains can truly unleash their imagination to create new and exciting objects. 3D printed art models aims to expand the horizons of design and foster a culture of aesthetic innovation. Although 3D printing art and modelling is rather nascent, artists are finding new applications for 3D printing technologies in their work. Visionary and futuristic artists and creative professionals have already used 3D printing for designing art installations, modern sculptures, character and prop design – the possibilities and benefits are endless. Sparks Creativity: 3D printing in art has the prowess to spark creativity and give birth to a new breed of art form. It acts as a magic portal between imagination and life-like tangible reality. Just like artists, 3D printing can push envelope of conventional, to deliver artefacts that simply amaze and inspire. On-the-fly Customization: Art is dynamic. This dynamism leads custom design in most forms of creative arts. 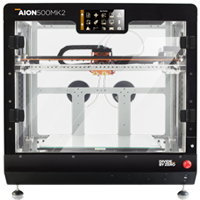 3D printing offers a quick, reliable, and agile solution in this custom-design-driven application. Creative professionals such as filmmakers, game designers, and set-designers have already started reaping the benefits of 3D printing in their artwork. Easy Replication: Numerous artworks and styles rely on replication of components as a part of their creative expression. Replication can be tedious and prone to errors and kinks. 3D printers can help artists overcome this challenge and let them focus on the big picture. Infinite Possibilities: 3D printed art is a renaissance of infinite design possibilities; empowering artists and designers capture imagination with technology. To add to this, new-age 3D printers have fewer design limitations. 3D printing is at the frontier of transcending the potential of human imagination. At Divide by Zero, it is our constant endeavour to fuel artist and their imaginations. Right from enabling a leading production house (Corcoise Films) to develop 3D printed GI Geo Falcon bird for a Flipkart ad to developing India’s first fully 3D printed wearable dress as well as first fully functional set of 3D printed musical instruments, Divide By Zero has been at the helm of cutting-edge modern art. 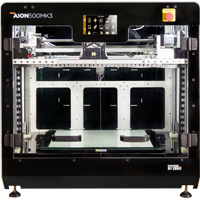 Our versatile range of world-class 3D printing solutions ensures that artists can execute their ideas with accuracy and in exciting new ways. 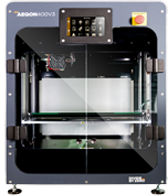 Our 3D printers are designed to keep-up with the dynamic and demanding nature of art and design processes. Backed by its scalable nature, our industrial-grade 3D printing solutions are geared to help artist transcend into the next generation of creativity. 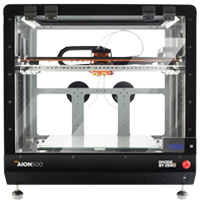 Whether you’re an established artist looking to innovate or an aspiring one looking to make a mark, Divide By Zero 3D printers would be an ideal keystroke to your masterpiece.